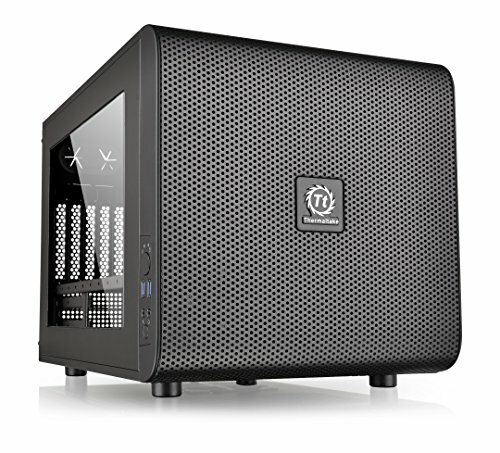 Thermaltake can deliver with the Core V21 Extreme Micro ATX Cube Chassis. With multiple configurations for both Air and Liquid cooling setups, the Core V21 offers multiple options for today’s cooling demands. Save time with a tool-free drive bay design, optimized air flow and modular chassis options to configure your build, your way and get back to gaming. 2x USB 3.0, 1x Headphone, 1x Mic Front Ports, Internal Bay: 3x 3.5"or 2.5"